I’ve been seeing a lot of chat about these cute onesie sleepsuits in my social networks so I thought I’d show you some of the best gaming and geeky pajamas out there today. They are great for the cold winter nights as you can easily lounge around in them while playing games or watching your favorite TV shows too. I’m pretty new to the whole Walking Dead phenomenon but this gruesome zombie sleepsuit is my favorite of the whole bunch by far! They are made of a fleece type fabric and have an oversized hood – one review said the hood makes a great sleep mask when their partner wants to watch TV in bed! You could also wear this zombie onesie as a Halloween costume if you wanted to scare the kiddies. 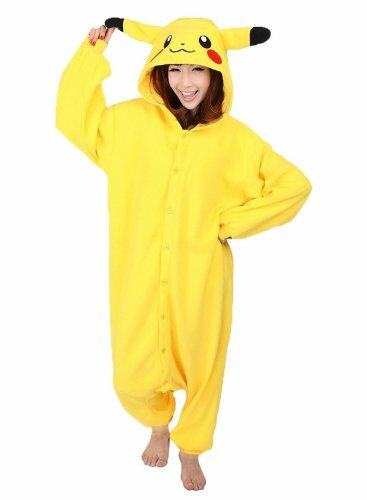 If you like bright and cheerful colors then this Pikachu onesie might suit you. I think it looks fantastic in the photos and would make a wonderful gift for any Pokemon fan. 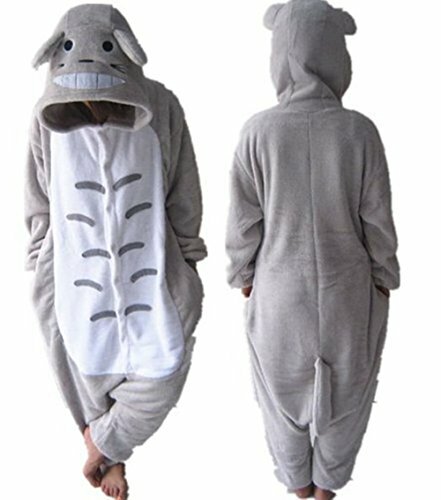 The Totoro sleepsuit is just as cute and also has an oversize hood. It’s very baggy around the bottom area but apparently, that’s the normal style – it gives wiggle room you see. 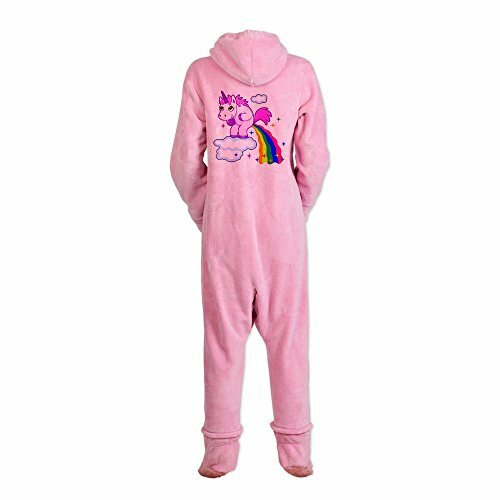 My favorite girlie sleepsuit is the pink one though – it’s not a character sleepsuit like most of the others today but has a unicorn farting rainbows on it which makes me smile every time I see it! 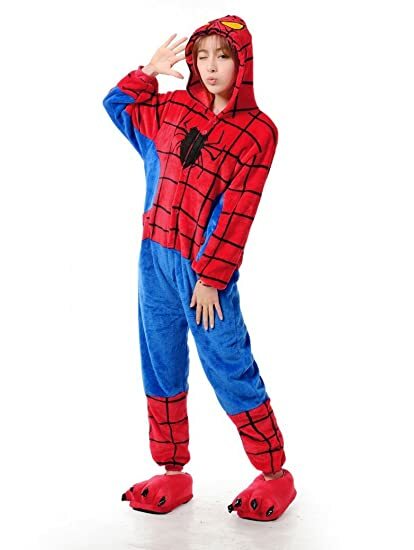 I’d suggest these cool superhero sleepsuits would be more suitable for guys who want to keep warm in the cold winter evenings, not because they are traditionally male heroes but because I can’t see many guys wearing cute Pikachu gear! That’s the beauty of these sleepsuits, they are unisex so you can wear what the hell you like! The Batman fleecy onesie even has a cape attached and the feet are attached by a zipper so can easily be removed. 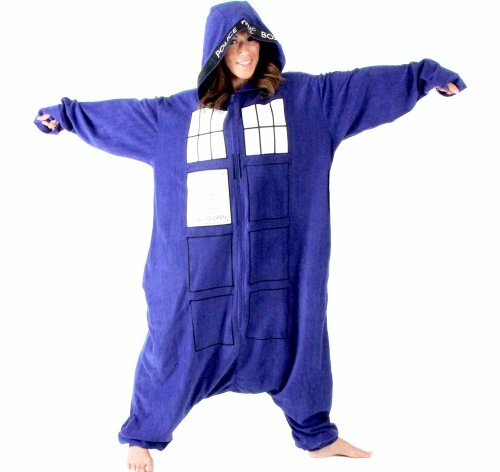 My favorite TV show is Doctor Who so this Tardis sleepsuit caught my eye immediately. It’s big, baggy and super comfy looking, like wearing your favorite fleece blanket and I love it! We all know the red shirt guys are usually the ones who don’t come back from missions but this Star Trek sleepsuit is also available in blue and gold versions. If your guy prefers Star Wars then this Darth Vader onesie would make a perfect gift this winter. There is also a Stormtrooper onesie and a Boba Fett version too. I hope you’ve enjoyed today’s selection of fun & quirky sleepsuit pajamas for gamers and geeks. These one piece pajamas look so warm and cozy and being unisex, they are wonderful for guys or gals who just want to be warm and comfortable at night. If you have a gaming or geeky topic you’d like us to find gift ideas for, feel free to leave a comment below, poke us on Twitter @giftsgamersgeek or you can give us a like on our Gifts for Gamers and Geeks Facebook page.